Here's a great budget car! 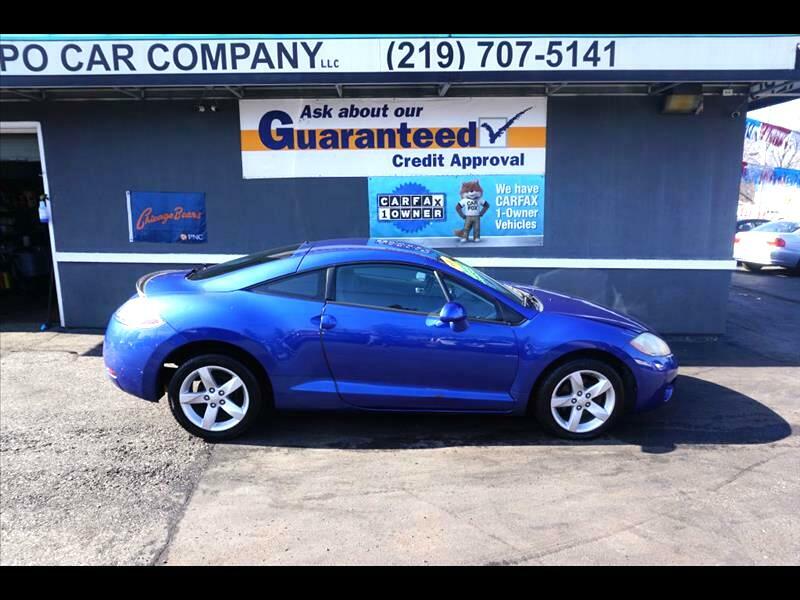 This one's got a ton of style and runs like a top- our 2006 Mitsubishi Eclipse GS is in great shape, power locks and windows, cruise control, AC/heat, AM/FM/CD, and more! Look at this beautiful color- as Ashley Shaffer once said, 'It's a bright bluish hue, the sun just dances right off em'. Come on down to Valpo Car Co for this beauty- all for our discoutned internet sale price of $4195! Call today 219-707-5141 thanks for looking! Message: Thought you might be interested in this 2006 Mitsubishi Eclipse.